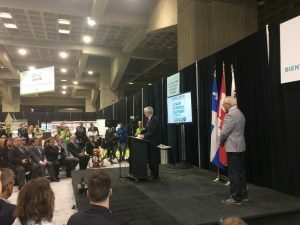 On Friday May 26 at the Montreal Electric Vehicle Show, the Minister of Transport Marc Garneau and the Minister of Innovation, Science and Economic Development Navdeep Bains announced that the Government of Canada is moving forward to develop a national strategy to increase the number of zero-emission vehicles (ZEVS) on Canadian roads by 2018. This strategy will be ambitious and will build on existing initiatives, such as light-duty vehicle regulations, provincial ZEV programs, and Canadian innovation superclusters, to help meet 2030 greenhouse gas emissions reduction target and realize Canada’s potential as a global leader in innovation and the clean economy. To advance the strategy, a national Advisory Group has been established to contribute to developing options for addressing the key barriers for greater deployment of these technologies in five areas: vehicle supply, cost and benefits of ownership, infrastructure readiness, public awareness, and clean growth and clean jobs. The Advisory Group includes representatives from governments, industry, consumer and non-government organizations and academia. 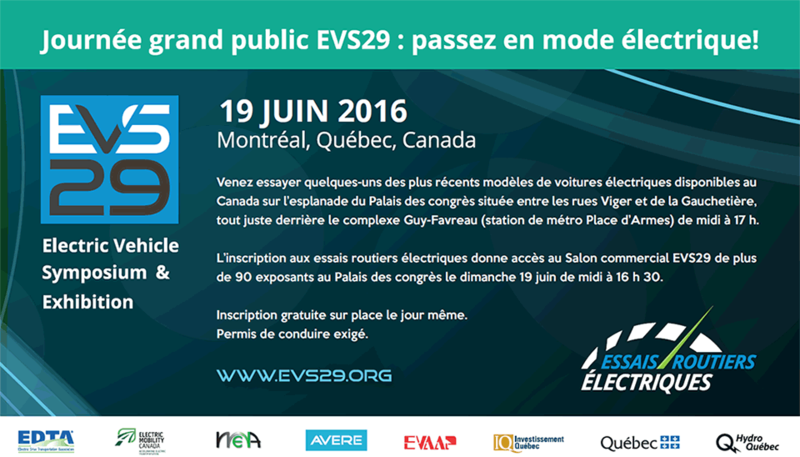 Electric Mobility Canada is proud to be a member of the national Advisory Group and looks forward to defend the position of its members during the consultations.